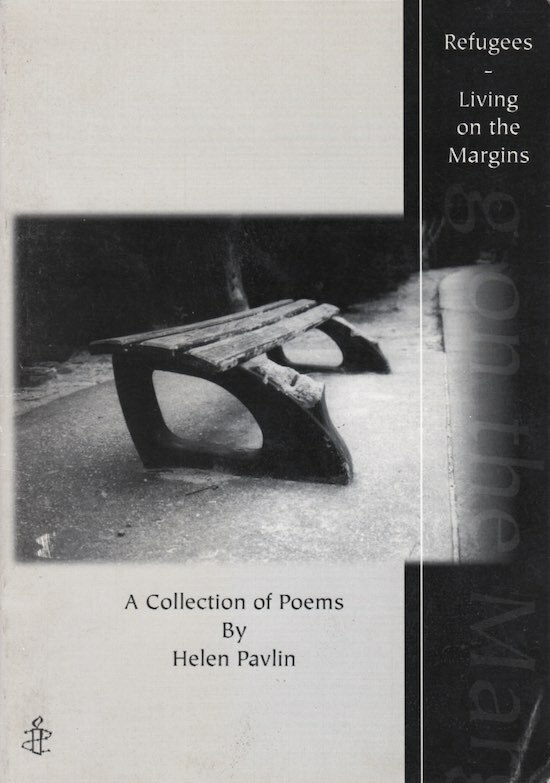 Helen Pavlin grew up in country Victoria with a confused awareness as a child of refugees and DPs (Displaced Persons were then called), migrant camps and concentration camps. In later years, she was to marry someone with experience in all of these. More recently her work with refugees in Queensland gave rise to this small set of poems, her second published collection. Hugh Crago, author of ‘A Circle Unbroken’ and ‘A Family in Time’.